You will come across a number of businesses that require documenting the account policies and steps to maintain an internal control. Whereas there are, some who want to maintain the documents of their various Procedure Manual Template , internal procedures and implements the best practices as well. With the help of accounting manual template, an organization can employ a comprehensive and effective set of accounting practices to be efficient and accurate. With the help of it, you can maintain an updated and documented version to produce useful financial statements and management reports. In this Policy Manual Template you will find policies, procedures, and internal controls necessary to develop documentation. In these templates, you will find various checklists, forms, and spreadsheets to develop a comprehensive accounting policies and procedure manual for your business. Non-Profit organization or various charitable organizations find it easy to manage their non- profit policy and procedures manual with the use of this template. This type of template covers most of the critical elements with the use of tools and texts to integrate policies and procedures for management, accounting, employees, safety, and project management. You can easily create your own small business accounting policies and procedures manual with the help of templates. In this format, you will come across contents such as revenue and cash receipts, payroll, assets and liabilities, financial reports, various internal reports of the small business and administration aspects to get everything on track. Just like other businesses, a manufacturing company also uses a sequence of events known as accounting cycle to prepare various financial statements. The manufacturer brings on some specific requirements to use an accrual method to find a value inventory. In this template, you will find specific contents to help you prepare an accounting system with ease. There are a number of businesses both and big and small who require a proper documented accounting policies and procedures, with notable internal control. Another set of people wants to keep the documents of their internal procedures and implement some best practices in the future. 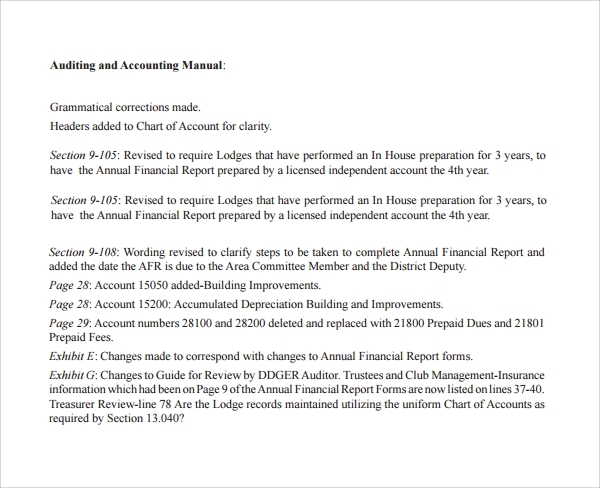 For them, an accounting manual template is just perfect to begin with and in the correct order. 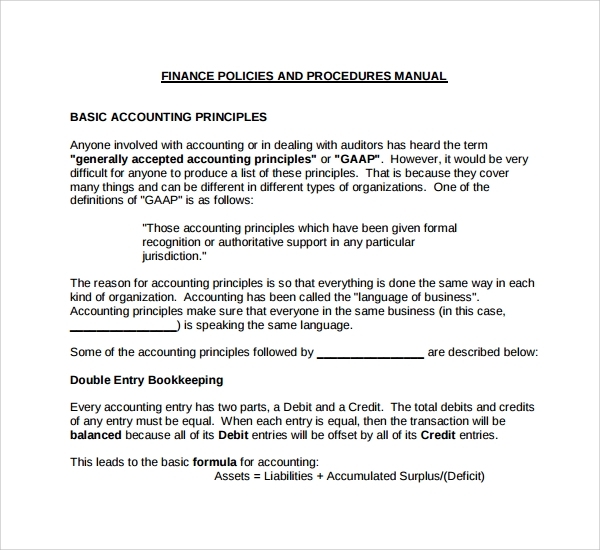 Why Do I Need an Accounting Manual Template? 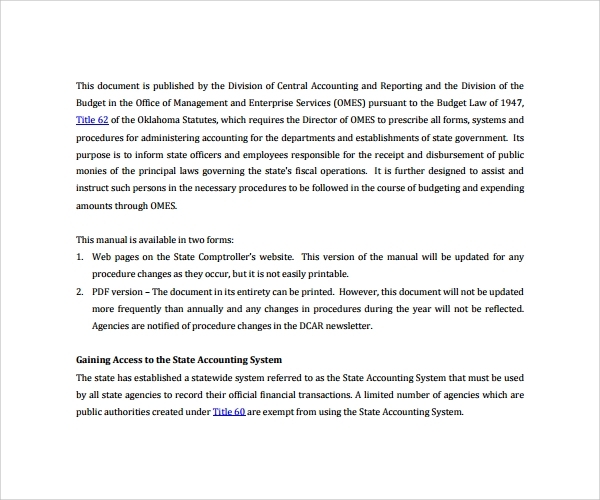 It is not possible to cover Instruction Manual Template various accounting system and procedure without knowing the basic format. It is not even possible to know the comprehensive accounting policies and procedures of a particular company as it keeps on varying. Therefore, to ensure efficiency and accuracy it is better to begin with an accounting manual template. 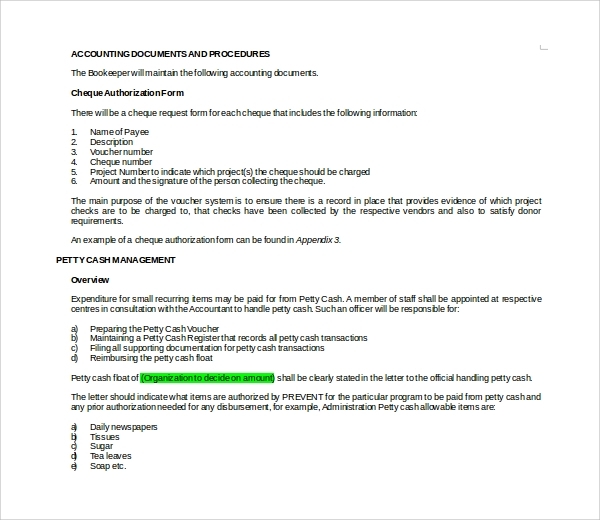 What Are the Contents of an Accounting manual Template? 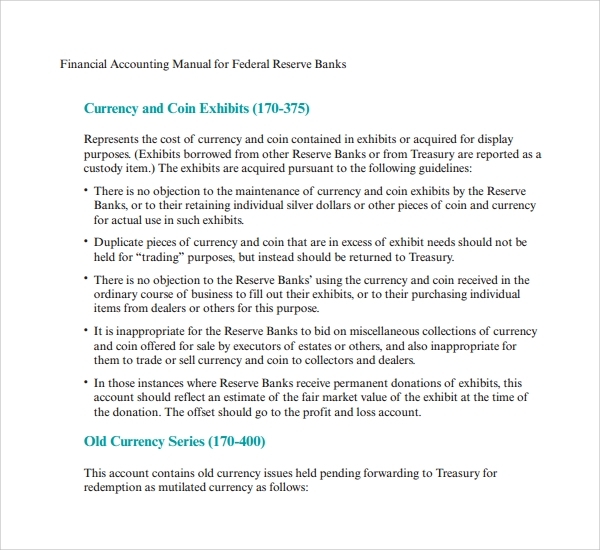 The accounting manual template generally embodies a content checklist that covers Office Manual Template elements like revenue, policies, and procedures, credits and accounts, payroll, assets and liabilities, financial reporting, purchases made, financial internal control, flowcharts of the accounting system and lot more. These spreadsheets help to develop comprehensive accounting maps that are easy to download and edit. How Do You Create an Accounting Manual Template? 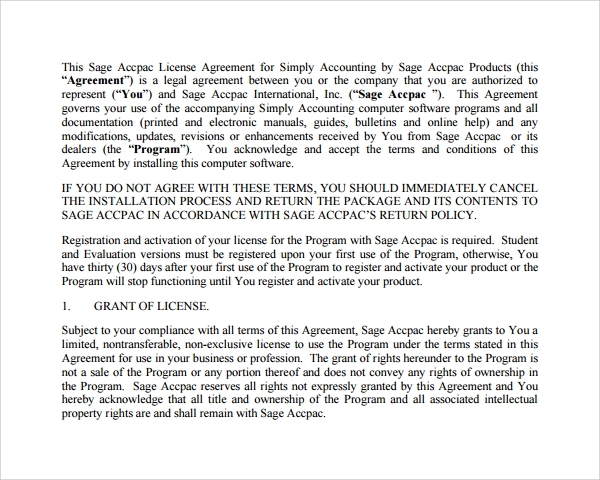 In order to prepare an accounting manual template, Training Manual Template you need to download a version on which you want to work. It may be in PDF or Excel format and comes with editable features. You can easily create daily, monthly, weekly or monthly accounting manuals. You simply need to edit the required field and put your own figures and data. The various types of accounting manual templates available with us and are available in formats such as PDF, Word and Excel. They are all available in editable versions so that you can put relevant data as per your necessity. All the templates found here guarantees 99.9% success rate through their lower and upper versions.